MB Archives - All Chucked Up! 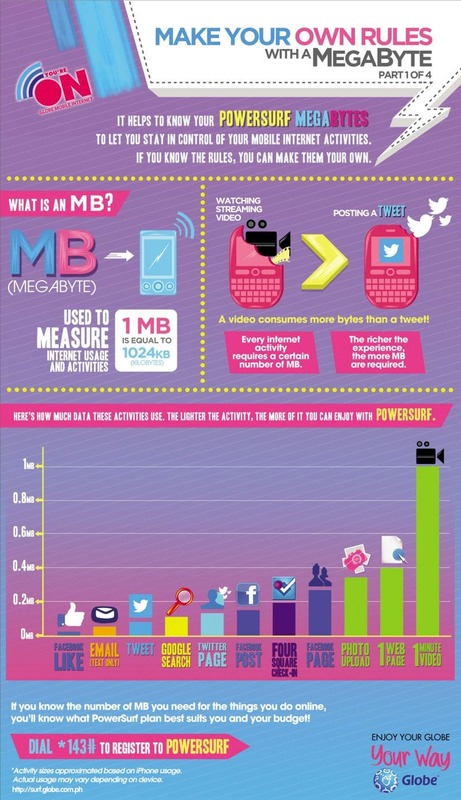 How much is a megabyte (MB) really worth – A couple of clicks? 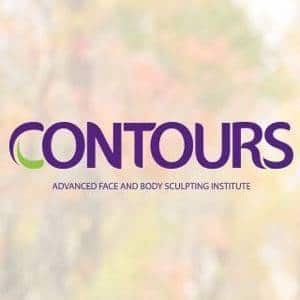 A few Facebook “likes”? A handful of tweets? Knowing how much one (1) MB is worth is a great way to determine how “online-heavy” you are. This will also aid you in selecting which type of data plan fits your needs and how NOT to breach your subscription’s threshold. 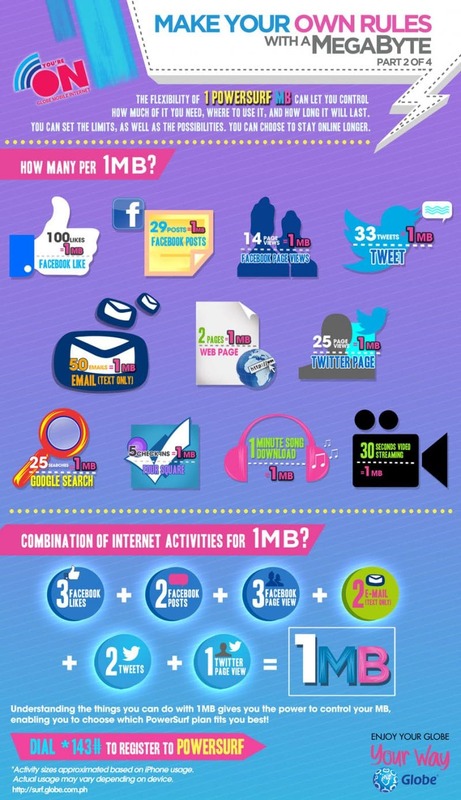 That being said, Globe has prepared a few infographics to help give you an idea of how much data you consume. Globe has also provided a chart of their Powersurf Plans which you could easily choose from based on your online needs and behavior.